Jamie here to share the new Bunny on Carrot File! 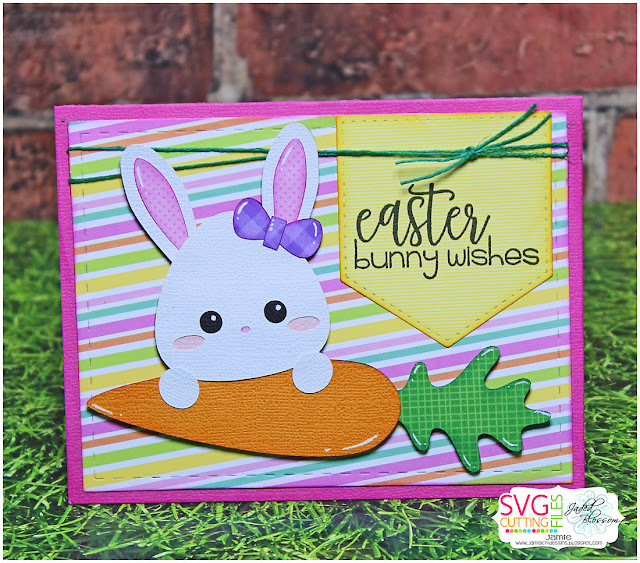 I made a simple card and pop dotted the adorable new file on to the Card Mat base. 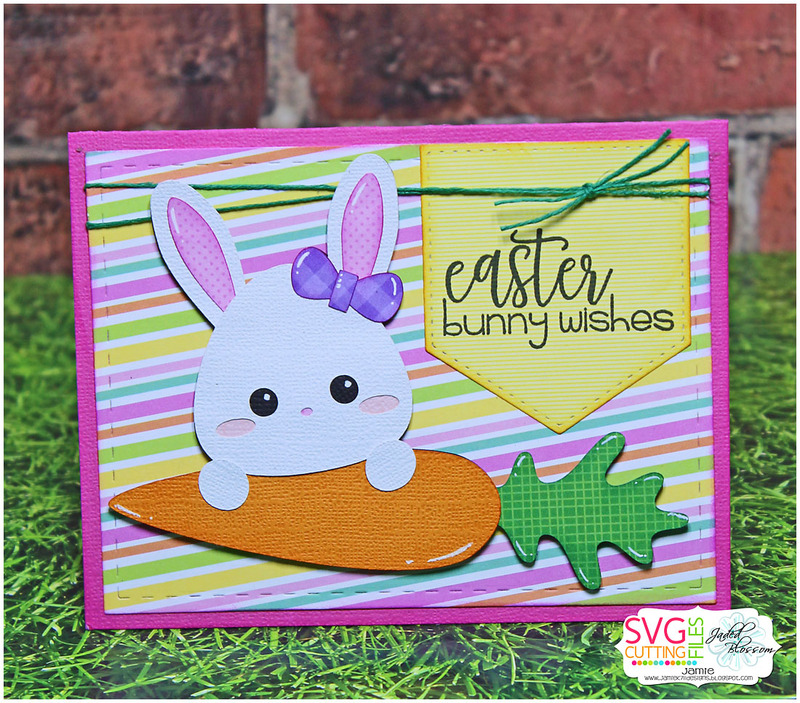 Then I stamped a sentiment from Follow the Easter Bunny to a Card Layer Die 1 and finished the card with a little green twine at the top!